The Code Compliance Department is rolling out new uniforms so be on the lookout for Code Officers in your neighborhood. The new uniforms consist of City patches on both shoulders and an embroidered badge on the front. Code Officers in similar attire without the patches and embroidered badge are in training. 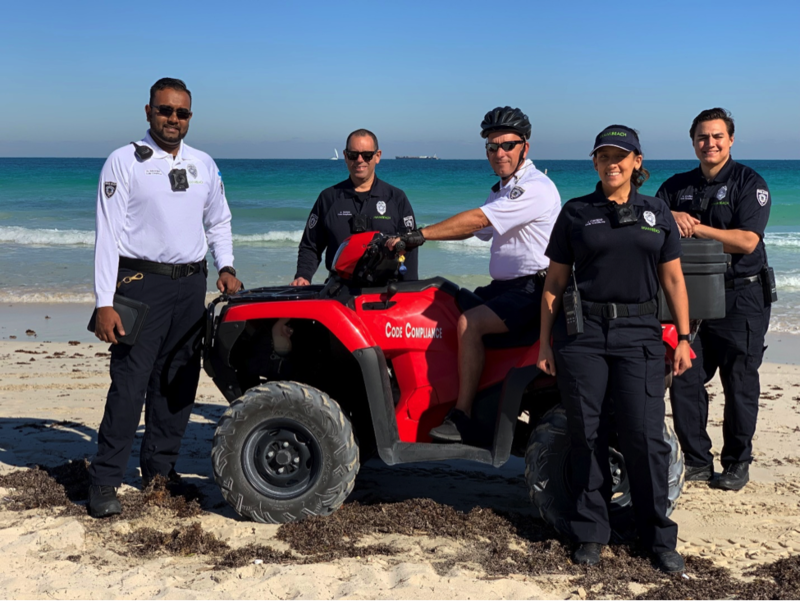 Code Officers are on duty and available respond to your concerns seven (7) days a week, just call 305-604-CITY (2489).